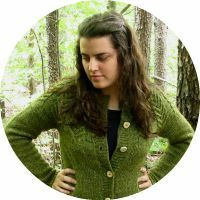 Wool and Wheel: In which I discuss embroidery, old books, and knitting. In which I discuss embroidery, old books, and knitting. But now I have for you a very random post that includes embroidery, knitting, and thrift store finds. Ready? I put aside embroidery for several weeks to focus on learning the basics of knitting. But I missed it like crazy so I've been on an embroidery kick again for the last week or so. I've always meant to participate in Feeling Stitchy's monthly stitchalongs, but I've never got around to it. Until this month! The free pattern this month was a cute Halloween-themed one. The top of the banner originally had skulls instead of candy corn. But I've never been into skull motifs, so I changed it. P.S. I'm trying this new larger photo size. I think I like it except for that fact that it shows all of the flaws in my embroidery and not-so-great photography! And here is a preview of my next big project: one of my entries for the Covered in Stitches contest. 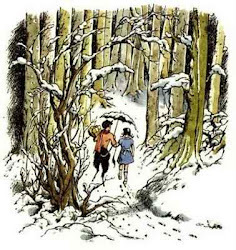 Because I have until November, I'm hoping to do another entry, too (hopefully of one of the Narnia books), but I'll have to see how this one comes along. I also stitched up this paper airplane inspired by this one. It's going in my sewing corner. By the way, my sewing space had a little makeover recently, because my dad made me some storage shelves. I've been getting everything organized, and I'm hoping to take some photos soon to share! I meant to this week, but the past three days have been really cloudy and dark. I finished my second scarf! This one is done in a rib stitch (knit 2, purl 2) and I'm proud to say that there are no real mistakes! No holes or dropped stitches. :) I'm learning to be able to tell visually when I've done something wrong, so I can go back and correct it before I get too far along. The green is not really as bright as it looks in the pictures. The one thing I would do differently: when I was binding off, I did it in a knit stitch instead of keeping up the rib stitch. Which means that it got a little stretched out and different looking than the other end. But that's okay! At the time, I realized what I was doing and thought it might turn out like this, but I was really anxious to just finish (it seemed like I had been working on this scarf forever!) so I kept going. And my next goal is a pair of wrist warmers. So I'm learning to knit in the round, on double pointed needles. I was feeling pretty confident about all of this until I watched the YouTube videos and realized that I would need to grow a few extra hands to do this. Plus, this is my first time working with metal needles (I've only used bamboo before), and they are ridiculously slippery! It was incredibly awkward at first, but I think I'm getting the hang of it for now. The problem is that my needles are a size smaller than the instructions called for, because this is the only set of double pointed needles I have. And this tiny little tube is supposed to fit around my wrist. The finished project is supposed to be around 7.5 inches in circumference, and right now it's about 3.5 inches around? My question to you lovely knitters is, did my smaller needles really make this much of a difference? If I keep going, is this tube going to stretch to fit around my wrist? Or is it going to stay small enough for a toddler's wrist? I know with knitting it's hard to tell exactly how things are going to be until you get further along. But I want to unravel it and cast on more stitches before I get too far along, if it's going to be this tiny. Me and Marmee went in a lot of thrift stores when in town this week, and we found some good stuff. Especially as far as books go. The Henry Mancini record set features 31 Academy Award-winning songs in his arrangement. Good stuff like Moon River, Over the Rainbow, Swingin' on a Star, Thanks for the Memory, etc. I'm a little bit of an impulse buyer when it comes to books. In a way. I will ponder over a book in Target for weeks or months. I'll pick it up and look at it every time I walk past, and I'll shop around for it at other places. But in Goodwill, I pounce. I guess you have to? Sure, it may sit on that shelf for years waiting for someone to buy it (and there are some books there that I seriously believe have been there for years). Or it may be gone when you come back in next week. So I've learned to not take any chances. And then a 1937 copy of Ernest Hemingway's To Have and Have Not. No, I have never read an Ernest Hemingway book (only a short story, for my college English class). Yes, I know that he had major issues in his personal life that would usually turn me off to reading his novels. But I got this one and my mom got me very old copies of For Whom the Bells Toll and A Farewell to Arms. Why? 1. His books are considered classics. I feel like I should read them sometime in my life. 2. Next month, I'm going to be doing something connected to Ernest Hemingway, and I want to have read at least one of his books by then. If you've been reading my blog for any amount of time, you've probably realized that I have a book problem (though honestly it only feels like a problem to me when I leave Goodwill with $1 left in my wallet). I love reading books and I love collecting books. And I have a thing for pretty books. New (as seen above) or old. There is something incredibly magical to me about a book that was printed in the 30s or 40s. To know that someone bought it and read it and loved it all of those years ago, and it's still holding together. I love it when I open an old book and see someone's name and address carefully written inside the front cover (all three of the Hemingway books we bought belonged to the same lady), as if they loved it so much they wanted to make sure that it was returned to them if, by some crazy accident, they lost it. I love old books. Which was a large part of why I picked out those books, instead of buying shiny new copies at a store. I had read about this one somewhere before. The one with beautiful, creepy illustrations. I'm thinking it was a long time ago on Natalie's blog, but I could be wrong. Oh my goodness. I think this may be my most random post ever, and that's saying a lot. As I've been sitting here writing it, I've been thinking that you guys will probably think I'm a nut by the end of it. :) Oh, well. Maybe I am. It's not such a bad little tree after all. Maybe all it needs is a little love! :) If you want it to be yours, you can find it here. I've got another Christmas-themed hoop finished, but it's been too wet and dark to get photos outside yet! I love the paper airplane embroidery. Very cute! I've never read Jane Eyre [yet] but that edition you got is so cool! I look forward to hearing what you think of that blogging e-book. It sounds really interesting. Have you ever seen any of my photos showing our library? I have a book collecting "problem", too. My shelves are basically full which has led me to list some of our books on Half.com. To Kill A Mockingbird is one of my favorite books. I can't wait to see what your embroidered cover looks like!